StrainwaveSCA2018- for registered Users free to download! VSTI StrainwaveSCA2018- for registered Users free to download! How to play Sca: read the user manual ! Sustaining pure sine wave based sounds, the most prevalent sound for each instrument family in parallel of a good reverb. 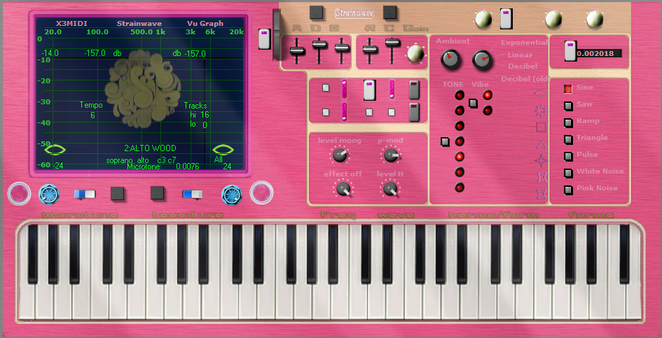 Result the best emulation, on this keyboard you play tuned as real instrument sounds. Best envelope, eq scale range, many ambient controls and no sample. This synth is a beta version and pretty nice instrument already.